Employment. Need a job in the Richmond VA or Charlottesville VA area? – At Virginia Professional Wildlife Removal Services, we have been very fortunate to enjoy consistent company growth as we expand our wildlife removal and animal control business. As a family-owned company operating with strong ethics and moral values, we always strive to work hard, work smart, enjoy what we do and exceed our clients’ expectations. We actively participate in numerous local and national trade associations and work closely with university and manufacturer researchers. We strive to set ourselves apart from others. We are leaders in our industry, not followers. To be, and be known as, the preferred quality wildlife removal and animal pest control service provider in all market areas where we work. Fairly, honestly and diligently deliver the best possible services that we are capable of providing for our clients. Create opportunities for our employees to better themselves through education, advancement and increased earnings. Grow, expand and operate profitably. If you are seeking to establish a long-term career in the wildlife removal and pest control industry, and have a strong desire to become a contributing part of a quality wildlife management organization, then we need to hear from you. Paid training and in-depth orientation. A highly experienced team of professional and technical support people. Competitive base compensation with incentive pay programs. Company vehicle for field positions. SIMPLE IRA savings plan with up to 3% company matching contribution. Paid time-off including holidays and vacation days. We’re always looking for experienced and motivated individuals to join our team. If you are interested in applying for employment, please contact our office for an application. 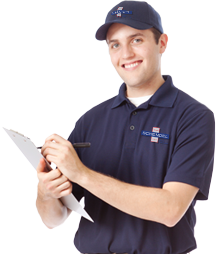 We offer wildlife removal and pest control solutions in the Richmond and Charlottesville areas, as well as Virginia Beach, Norfolk, Chesapeake, Newport News, Portsmouth, Hampton, Williamsburg, Lynchburg, Roanoke, Salem and Bristol for some wildlife animal control problems. All applicants must be able to lift and carry up to 50 pounds, and be able to work at heights and in confined spaces. Valid Virginia drivers license and a good driving record required. Drug Screening and background investigations conducted. WE ARE NOT A VIRGINIA ANIMAL WILDLIFE REHABILITATION ORGANIZATION! For additional information on Wildlife Removal in Virginia.